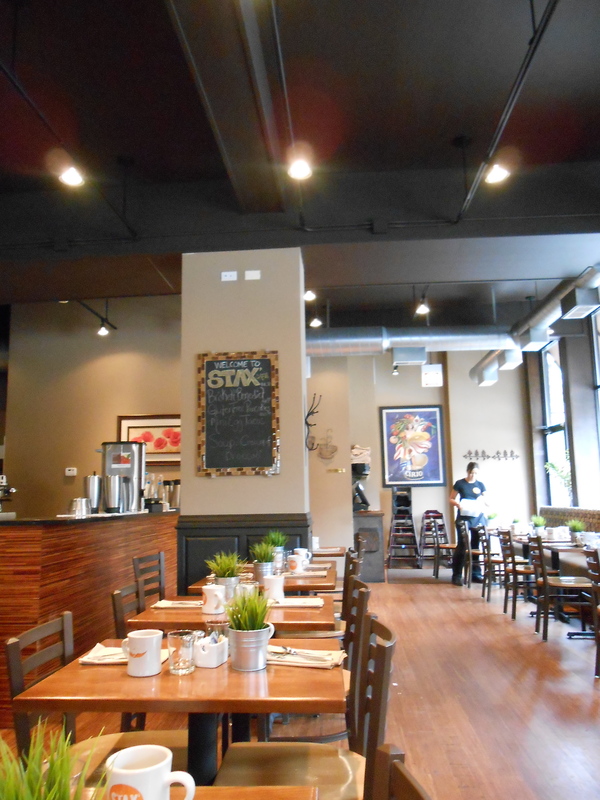 Stax Cafe is a brunch restaurant in University Village/Little Italy. 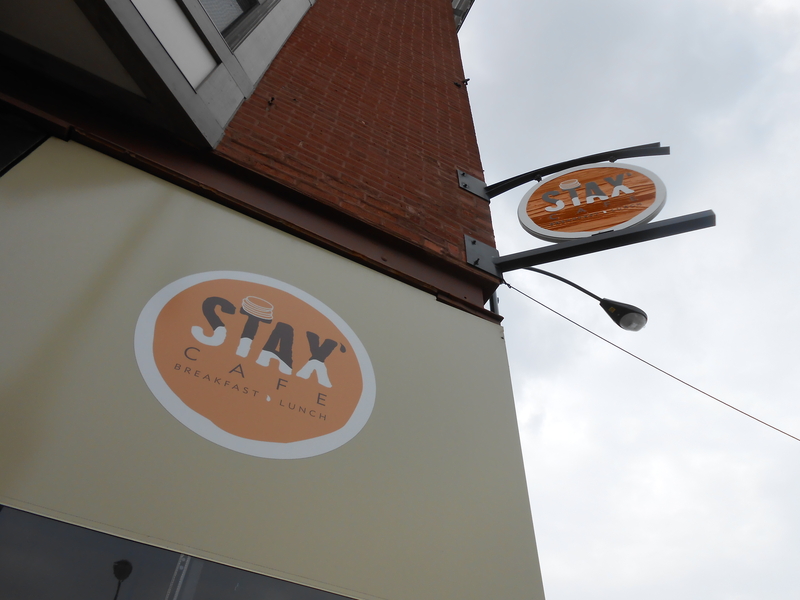 It’s found at 1401 W Taylor St. Stax is open essentially monday-sunday 7am till 3pm. (Saturday and Sunday they’re open a half hour longer) The easiest way to get there is Blue Line Racine stop or in the Medical distracts pink line polk stop. It is also technically on the UIC campus. Since I went during the summer when most of the students have gone home I’m not sure how packed it gets during the school year. But we were able to sit down and order instantly. Our food came quick, it was probably the quickest I’ve ever gotten food outside of a fast food restaurant. 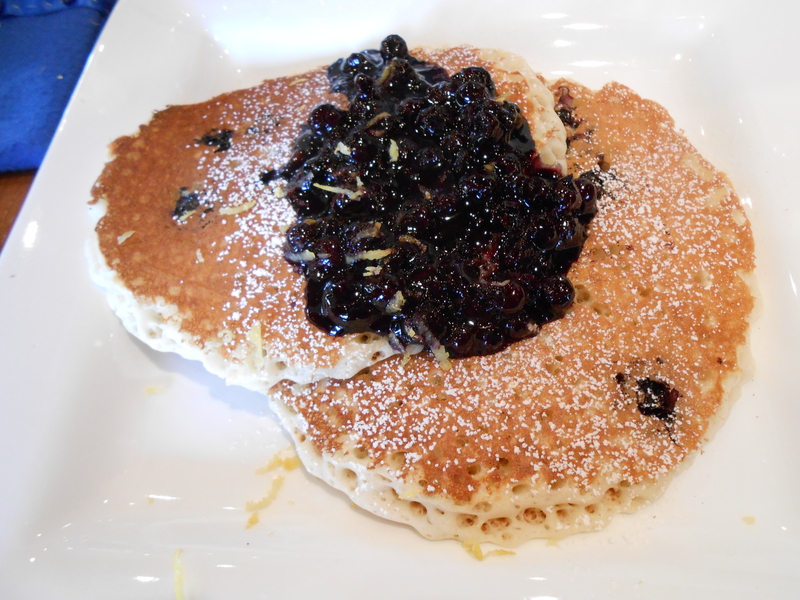 I ordered The Blueberry which is pancakes covered in a blueberry lemon compote. 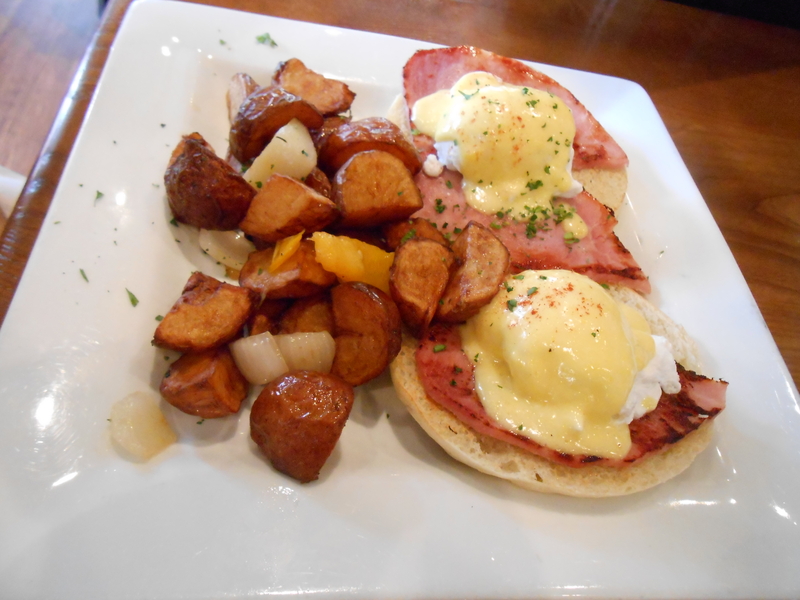 One of my friends ordered the Classic Benedict.